The theater, the theater. What’s happened to the theater? Since the beginning of recorded history, people have been performing for each other – in all cultures and throughout all ages. Ancient Greek theater was so profound that it still continues to be staged and performed around the world to this day. There was a time not long ago when the opening performance of a new show at the theater was THE big event in a community. People dressed in their best and made a night of it. The theater seats were full and everyone who was anyone was there. But with the modern age of the big screen, high tech, action-films and big name actors, fewer people seem to think about going to a live performance. TV, motion pictures and DVD’s have changed they way we experience entertainment. While I enjoy all of those, there is something magical about the theater that the other media just cannot capture. Live theater performances offer a special kind of passion and charm that a movie never can. Sitting in a room full of people watching the actors just a few feet away, you engage with them in the experience and emotion of the live show – its tension and power and sometimes its grandeur. People seem to respond differently in this kind of setting. Performances are often more captivating – certainly more spontaneous. It’s a joy to watch especially when done well. But our theaters need the support of the community in order to survive and thrive. Bethesda’s Round House Theater located at 4545 Eat-West Highway is truly one of the best in the greater DC area. 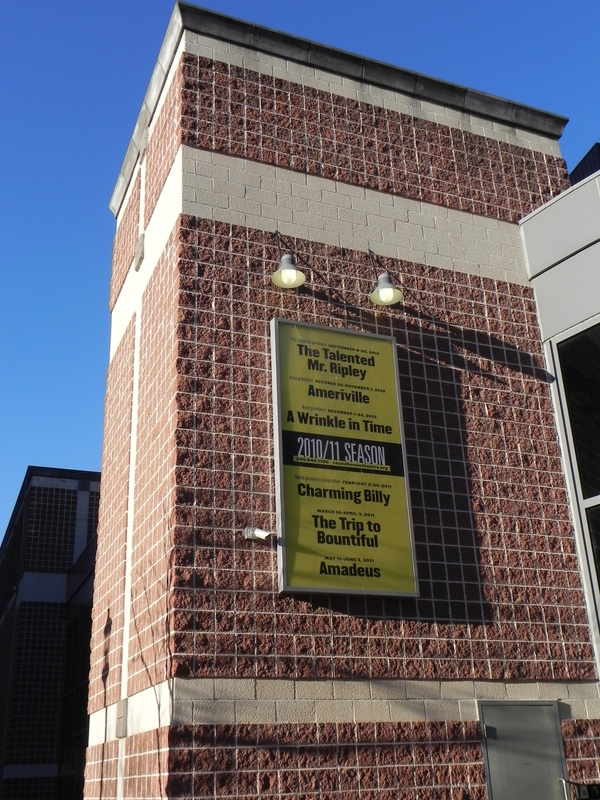 The 2010-2011 season is coming to a close with its last two shows – A Trip to Bountiful (March 16th – April 3rd) and Amadeus (May 11 – June 5). There’s not a bad seat in the house and tickets are easy to book on-line or at the ticket counter. Prices are very affordable ranging from $10 – $60 depending on your selected seat, showtime and date. Their website outlines some great options for discounted showtimes including a menu of “$10 Tuesdays.” That’s a deal! They also offer “Pay-What-You-Can” performances wherein you can purchase tickets at the price of your choice one hour before the curtain on those selected dates (cash only & limited to 2 tickets per order). The performances are truly top-notch at Round House Theater and professionally staged and directed. Opening night for A Trip to Bountiful is March 16th. Why not plan a special evening for you and your honey – or perhaps a Ladies’ Night Out? If you want to support the arts in our community, consider sponsoring, donating or just buy some season tickets. This will help to ensure that Round House Theater may continue to offer excellent performances in the coming years. You might also consider attending their Annual Gala coming up an April 5th at 6:30 PM. The evening includes wines, dinner, a silent auction (on-line auction is open now!) and an intimate program with some special guests. This entry was posted on Sunday, March 13th, 2011 at 9:44 pm and is filed under Art & Culture. You can follow any responses to this entry through the RSS 2.0 feed. You can leave a response, or trackback from your own site.